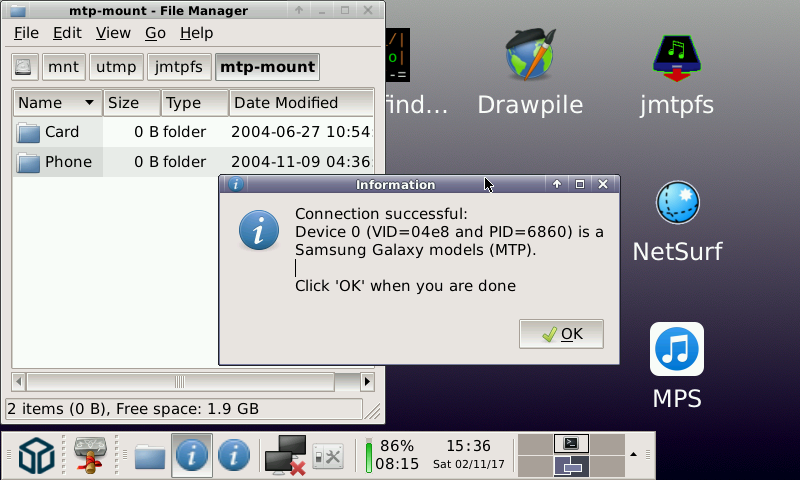 Access the file system of MTP-enabled devices like phones, tablets and media players. This PND will mount the first device it finds and then open Thunar at the mount point. Note: Some file operations will take longer than expected. To change a filename the program must make a local copy of the target, rename it and then copy it back to the device. Expect libmtp to crash now and then. The suggestion is to then reset the device. But I found reconnecting the USB cable is enough for my Android.